B is for bread. That is how things should be, merely because of the fact that bread has a tremendous impact on our food choices. Be it a sandwich or in a pudding, bread has been given a lot of avatars by culinary experts. A bachelor’s blessing or a tired mother’s crucial ingredient for breakfast- bread has come to stay. However, we have heard a lot about how there are healthier versions of bread that are available and how too much bread could be harmful for you. The French call it baguette, in Greece it is called pita and Indian loves their naan! We can all confess to eating some form of bread at some or the other point in life. It is imperative to know what goes into the making of this much-loved food. Most of the bread recipes contain pretty much one or the other type of flour, and a leavening agent. When it comes to deciphering what type of bread is good for you and what you must refrain from, there are a lot of debates. Let's dive right in. Researchers at the Weizmann Institute were on a quest to find out the better of the two – white bread or brown bread. All those who participated in the study obtained about 10% of their daily calories from bread. These people were asked to increase the consumption of bread by 15%. Half of the participants ate brown bread and the other consumed white bread. The groups were reversed after a 2 week period of “no-bread diet”. A lot of health parameters like levels of cholesterol, minerals, glucose levels and even signs of inflammation was noted before, during and after the study. The scientists were not able to draw a conclusive line on what is best. We all know that processed food is bad. Ergo white bread has got to be less healthy than whole wheat! But there is another side to this story. 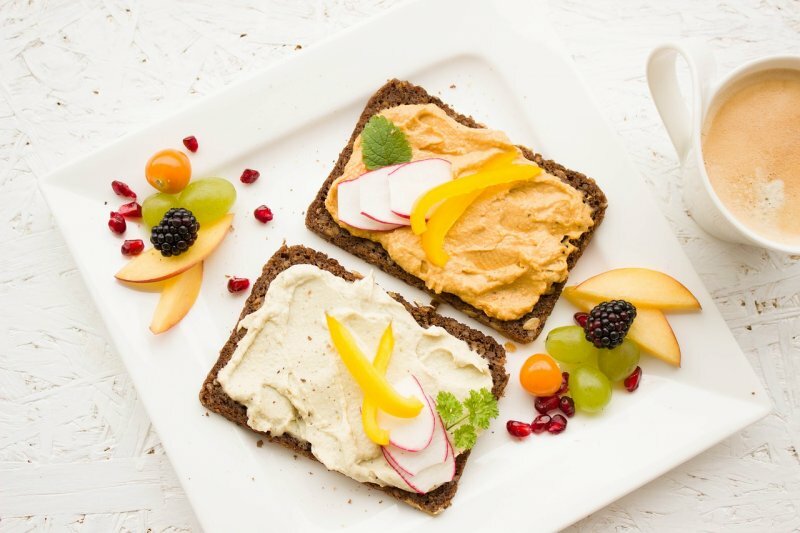 Whole wheat is not always the healthy option because people tend to eat a lot of it because they feel less satiated that when eating white bread! This is probably because of the lower carbs in brown bread. So, in that sense, brown bread could cause over-eating. So the researchers have reached a point where they believe, one must listen to their body and eat according to their body’s microbiome. Okay, okay, so now that we’ve become all confused and reached nowhere in this debate, there are however a few pointers you can follow to choose the healthier bread next time you go shopping. Brown doesn’t mean it is the healthiest. Brown bread is also processed. Look for bread that has the fewest number of ingredients in it. The lesser the additives the better it is. Look for whole wheat flour in the ingredients list. “Enriched” doesn’t mean it is naturally healthy. Yes, we agree that it is a bit misleading given the fact that it is the same flour used for making white bread. Enriched simply means some of the nutrients that were lost while processing is added back into the bread synthetically. If your bread contains the ingredient caramel, you might want to put that back because who needs an artificially colored bread!? White bread does indeed have more calcium than it’s cousin - the brown bread. But wait, there is calcium fortified brown bread available too! Say hello to good gut microbes with white bread! White bread has been portrayed as a villain in the recent years. As it is heavily processed it has even been called as a white poison that slowly kills us, we’ve heard it all. Many of us have wondered, how can we bid farewell to this much -loved life-saving staple food? Turns out, all is not bad. White bread has been found to boost healthy gut bacteria. People fall ill and have all sorts of digestive problems when there is an imbalance in the gut bacteria. Now, thanks to this research finding, we have one reason to not stop eating white bread. White rye-bread could be the new brown bread. Thank God Almighty for all those who do research on bread.It has been found that white-rye bread, produced using the white part of the rye kernel had better blood sugar levels when compared to the wheat bread made with rye bran. This has become a groundbreaking revelation that could help prevent heart diseases and even type-2 diabetes. Researchers also suggested that to maximize these benefits it was important that people consumed more food that is made from whole grain where all parts of the grain are included. Another very interesting finding was that bread or breakfast cereal made with white rye and wholegrain rye was more filling than white wheat bread. They showed better satiety than regular white wheat bread. Now that we have gone through the nuances of bread and what you need to look out for, here is another interesting topic. How can we possibly use leftover bread? Here are some recipes that are bound to make your day more interesting. Love Bread and Jam? Here’s why they ought not to be eaten together! Easter Sunday Specials: Why are Hot Cross Buns so sacred? Sitting with a hot mug of coffee, watching the rain with some lovely music in the background. What better way to de-stress after a grueling day? How about some steaming hot pakoras. Don’t worry we won't take away a lot your “me-time” with this easy to make recipe. Just dip fry and enjoy. The recipe is just a click away. Who doesn’t love cheese? There is nothing like the unctuous feeling of cheese on bread. Be it pizza, pita or even just regular bread. Bread and cheese is a match made in heaven. Try this yummy recipe right here!